We have previously discussed famous occultists, but one mind deserves special mention. The Elizabethan age wouldn't have been the same without a certain singular genius. 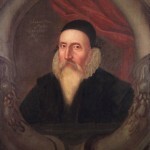 John Dee is a presence astride the 16th century. He moved in the highest elements of society, advising and dispensing knowledge. He strove to the highest levels in his studies of the occult, alchemy and astrology. Can you imagine a witch moving through the White House, advising the President? That’s the level that John Dee rose to, being one of Queen Elizabeth’s most trusted lieutenants. At this point in time, the Queen was one of the most powerful people on the planet. That makes John Dee one of the most powerful occultists who has ever walked the Earth. Yet, unlike so many others, his reputation remains impeccable. He is known as a great sage of the art, and he was deeply involved and concerned about the world around him. Dee’s life began in the center of the English realm, in London in 1527. He was born to a respectable family and he was an only child. The stars may well have blessed his birth-date. It was the beginning of a life that straddled the boundary a hugely successful scholarly career, and a devotion to mysticism that stopped at nothing. Dee excelled while at university and moved quickly through the academic ranks with great speed. At a time when the educational facilities of England were in their infancy, he was one of the brightest stars in the scholarly constellation. What so remarkable about John Dee was the way he embraced the Craft and the Occult while at the same time being so dedicated to science and mathematics. Here was a man who could prove that both sources of wisdom were compatible. As his studies in the occult progressed, Dee built up a fantastic knowledge of the Craft. He traveled and worked in Belgium and France, gaining a considerable reputation as a scholar. All of this resulted in jealously growing amongst his peers in England. His first brush with the law came in 1555, when he was accused of witchcraft and treason when he read the horoscopes of Elizabeth, and her half sister Queen Mary. A very able communicator, he was able to defend himself in court and eventually had the charges rescinded. He had proven that those who have a genuine interest in arcane knowledge could defend themselves. Such an accusation was, sadly, quite a regular thing to happen in England at that time. Witchcraft was seen as a public menace, and many totally harmless and innocent people in that country were tried and executed for Magickal activity. Dee managed to escape this fate. It was often used as ‘a stick to beat him’ in his later years, but his impassioned self-defense and the high regard he was held in by the Queen helped keep him safe. As he expanded his knowledge of the Occult, he devised his very own symbol. 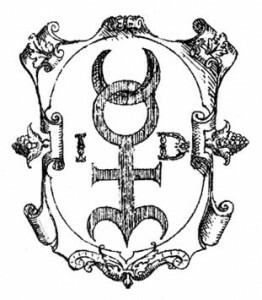 Dee’s Glyph, as the symbol was known, was designed to convey a sense of totality. This symbol incorporates a representation of the Earth, the Moon and Sun, as well as the centralized energy that is within us all. The glyph became Dee’s calling card. As he assisted and guided Queen Elizabeth, he was to use this as his identifying mark. It is completely unique. Dee was especially well-known for his communication with spiritual forces. Frustrated by the limits of what direct analysis could show him about the mysteries of the universe, he increasingly attempted to communicate with what he termed ‘angels’. He believed these spirits could help bring about a better world for humanity. He made it his mission to tour around Europe and offer the insights of these spirits to various European kings. His connection with England scuppered these attempts, but he was nevertheless received with great admiration. Dee became greatly interested in the practice of ‘scrying’, or divination through a physical medium. His residence in England became a holding place for numerous devices to help him with this activity. One of these devices, crafted from a bone, was stolen in 2014 from the museum in which it was kept in London. There is still a deep fascination amongst the public regarding Dee’s scrying equipment. A polished Aztec obsidian mirror was a favored piece. This exotic piece was one of his prized possessions and speaks volumes for the respect he had for the spiritual heritage of foreign cultures. His pursuit of alchemy is well known and controversial. Although he never succeeded in producing the true gold that is the aim of the alchemic practice, he amassed an enormous library on the subject. This became one of the best maintained personal collections in Europe. I have often wished to be able to gaze upon this vast collection of books and scrolls. It would have been quite the privilege. While Dee faded away from public perception in his later years, with the subsequent ruler, King James, not trusting him to the same extent, his work and personality endured. He remains one of the best known and highly respected Occultists of the 16th century. He opened doors and bravely strode the corridors of arcane knowledge in a time of repression. In many ways, his work helped to pave the way for the modern traditions that we celebrate today. He remains a figure who is often represented in fiction and his reputation hasn't diminished over the centuries. He represents a man who could live in the world of men, and work to better it, but he never lost sight of the stars above. Have you ever come across the work of John Dee? Do you find the work of Magickal pioneers such as him inspiring? Feel free leave a comment below or share your thoughts on our Facebook Page. I would like to think we can do him some small honor by reflecting on his dedication to the Craft, so please feel free to share your opinions. Excellent article, Cormac! 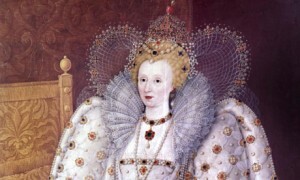 However, there is one typo … the Queen Mary you reference was Elizabeth’s half sister, not her mother. :) They shared the same father, Henry VIII. Marcy’s mother was Katherine of Aragon, Henry’s first wife, Elizabeth’s mother was Anne Boleyn, executed in May 1536. My fulliest respectively from:witchescove to mr.John Dee A magical mind.My prayers wishies from:Witchescoven too mr.John Dee magical mind:From the working crewed to families on the beyond of spiritual world of of wishing of both side of witches coven to coven of the spiritual world of wishies of powerful respect to all coven of world,I shell keep and stronger prayers has and Prayers spirituals of respect honour of all witchcraft coven of this world of wishing families and spiritual world with protection,happiness to the end of times,amen.With love always, amen. Hi, I would like to know if Mr. John Dee, was an Rosicrucian, AMORC,. Member? .My grand father, and My Father, were Menbers of The the Rosicrucian AMORC order,…Back in those Times they had Secret, Orders, fear of getting burn, or Killed….many great Masters, and AVATARS, and others, were Members, of the ROSICRUCIAN , order,..and they Welcome any one, of ALL Faiths,… They are opened to ALL,…witches too, who are in the white Light,and do Good/ positive for ALL,…Please,when you Can, reply this E-mail,. THANK YOU, and May you too Be Blessed,.. By the Higher Power, With, Light, Life, and LOVE,.. the greatest Of ALL is LOVE,…..peace be with you,….THANK YOU,… Robert Rico…. This is correct. Queen Elizabeth’s mother was Anne Boleyn. Queen Mary was her half sister-whose mother was Katherine of Aragon. Both Queens were fathered by Henry VIII. Katherine of Aragon was Henry VIII’s first wife making Queen Mary his first child. Anne Boleyn was Henry VIII’s second wife making Queen Elizabeth his second second child. I was inspired by the story of This pioneer in our field. He was persistent, Never giving in to self-doubt, he just kept pluggin away, attempting to set straight the world. Yes, yes, he was Right. Every science book, every math equation, the astronomy, the biology, even the flippin medical alchemy is POINT ON. Hey ancient religious family member, we (mankind) we get it now. It's all about Love, Peace, Charity, Truth, Light. Unfortunately WEEE get it about the time our planet is dying... No worries, that apocalypse they speakin of... I saw it in a vision, when I was just 14... The Earth is shifting on its axis. We are flying thru space on this unstable rock into UNCHARTED territories. Our Plane of existence is elevating. I'm happy to report, LOTS of good people have risen from the Ashes. We again, have Hope, Brother.